We’ll post announcements, shout-outs, and important information here on our virtual bulletin board. 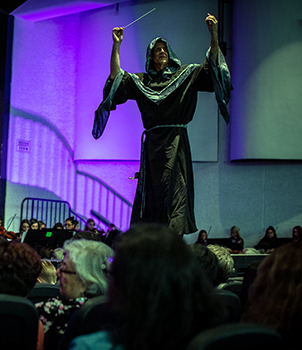 Join Mountain View’s Chamber, Symphony, Sinfonia and Philharmonia orchestras for a Festival Preview Concert on Tuesday, April 23rd at 7:00 PM in the Mountain View auditorium. The evening’s performance features the music selections the students have been preparing and will be performing at the ABODA State Concert Festival later that week. For the second year in a row, Mountain View High School’s orchestra program earned the William E. Richardson Program of Distinction Award. Presented for the 2017-2018 season by the Arizona Band and Orchestra Director’s Association (ABODA), Mountain View’s program was one of only two programs in the state to earn this distinction. The award was presented during the February 26 orchestra concert, which featured all five orchestras, by Bob Edgar, ABODA President-Elect. In order to receive this award, a program must receive Superior Ratings at all of their festivals, have students accepted into All-State, and have students that receive Superior Ratings at the State Solo and Ensemble Festival.